One of the most horrendous, disgusting, appalling and exploitative acts of creating art is to devour the suffering and misery of others, for example the current refugee crisis. This is particularly so when the art is made in the privileged conditions of a wealthy western society for a privileged first-world audience. Such artists exploit these situations in a way that is deeply underhand, in order to feel safe and content about their indulged and pampered lives. Who owns images of refugees? How can anyone make use of something like this and morally and ethically justify themseves? 99% of today’s activist art uses this inhumane formula. 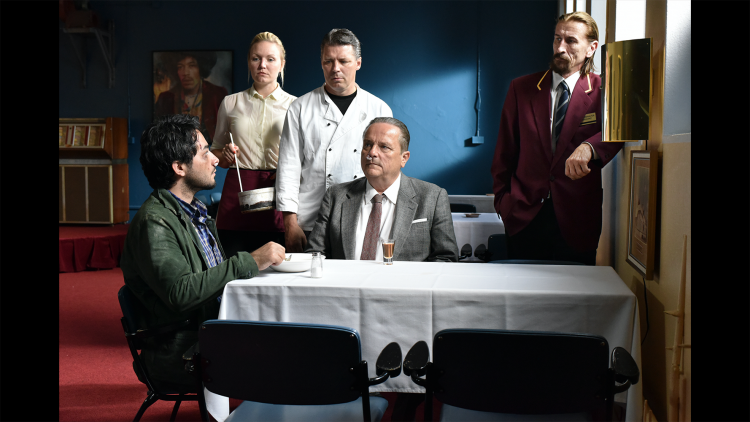 Last night I watched Aki Kaurismäki’s masterpiece The Other Side of Hope (2017) and realised that at least a handful of brilliant artists working today can still address such issues with integrity, intelligence and respect for their viewers and subjects. Activism has entirely destroyed art and continues to demolish any sense of mystery, poetry – and most important of all – imagination, in its work. There is nothing left to engage with anymore. Nothing left to think of anymore. Nothing left to the imagination anymore. The work of art-activism offers nothing but bulletin news slogans, which have no effect on the audience, or whatever the artists would hope to achieve. It is the poison of our time; it causes nothing but opportunism and charlatanism and creates ultra-successful artisans overnight without them putting in any effort or gaining experience. It is, as Godard said, these films are only texts and no images whatsoever. To create art one must give birth to a personal universe that can stand alone with its images and sounds. In one of his recent interviews Brian Eno said that humans create art as a phenomenon to continue to live and exist. Returning to Godard again, art is not a reflection of reality, it is the reality of a reflection. The latest trend of new art activism is working 100% against this.